Can't believe that this hasn't been updated yet, but Isabelle should be getting a new Smash amiibo too. Though as far as playing goes, its more than likely that the Isaballe AC amiibos (Same with Inkling) will already be fine. I could always get Inkling Girl and Isabelle amiibos from their respective lines, but I wanna be consistent. 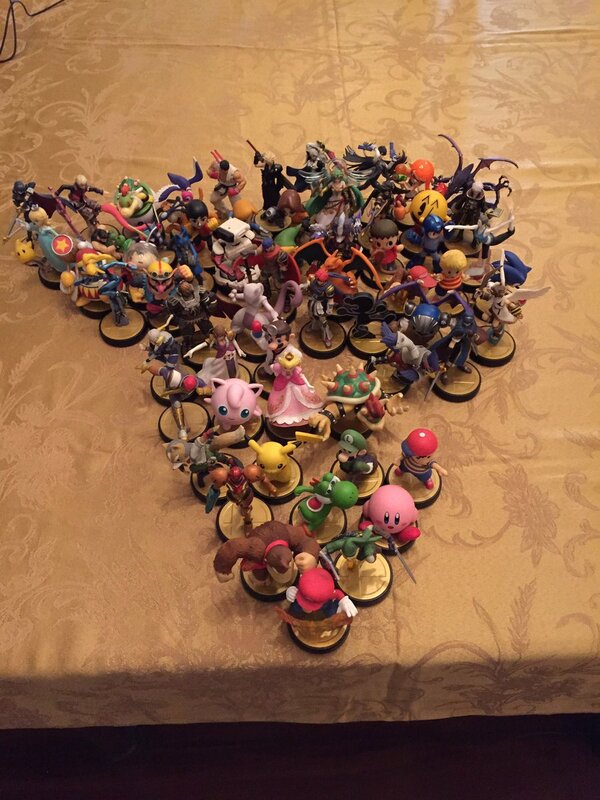 But dang, now with Isabelle, we can bring that to a potential total of 14 additional amiibo to complete the entire Smash Bros roster. May be 16 or 17 depending on how Pokemon Trainer Amiibo will be handled. I am still holding out on a Master Hand and Crazy Hand amiibo though. Having those two as amiibos and being the "masters" of Smash Bros would be great to stock alongside the main playable roster. Wolf, Inkling and Ridley obtained, now joining the rest of the Smash Bros roster to make it 61. Thankfully won't have to buy the next releases until February, Ice Climbers, King K. Rool and Piranha Plant. Also a reminder, King K. Rool, Ice Climbers and Piranha Plant coming out this week. Hell the Trainer has me conflicted. 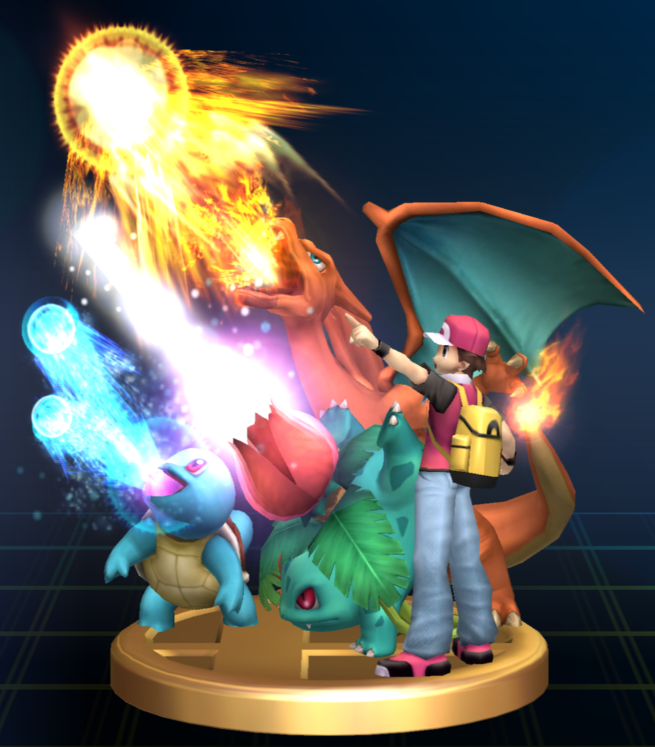 Do I just get the Trainer and remove the Charizard from the collection because the Trainer is a single character? Do I get Squirtle and Ivysaur and not the Trainer because technically the Trainer isn't even the one doing the fighting and Squirtle and Ivysaur are two different enough characters that have appeared on their own in Spirit battles? Or do I just say nuts to all that and get all three anyway and bunch the Trainer and his three Pokemon together? And it definitely would get worse if female Trainer (aka Leaf) gets her own amiibo too. Lol yeah they got us good with that. They could have tried to design an amiibo with all of them on the stand but it probably would have been too large or scaled down too much. I wonder how training the amiibo works in this situation? Does each Pokémon have their own stats to train? If so what does the pokemon trainer amiibo itself do?